Discussion in 'Lexmark, Dell, Brother Inkjet Printers' started by Tylos, Oct 12, 2017. 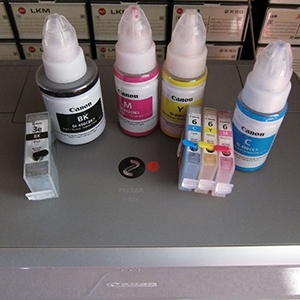 Does anyone know where I can purchase 'chipped' Colour Ink Cartridges (P/N 53332) compatible with the Primera Disc Publisher printer. It is the "Lexmark, Dell, Brother Inkjet Printers" forum. It also contains threads about other brands inclusive Primera. You could also enter "Primera" (without the "") in the Keywords field on the "Search Forums" page.This will find several posts about Primera printers. Edit: I didn't notice the date.